This delightful floral fragrance opens with the fizzy and vibrant notes of magnolia blossom. 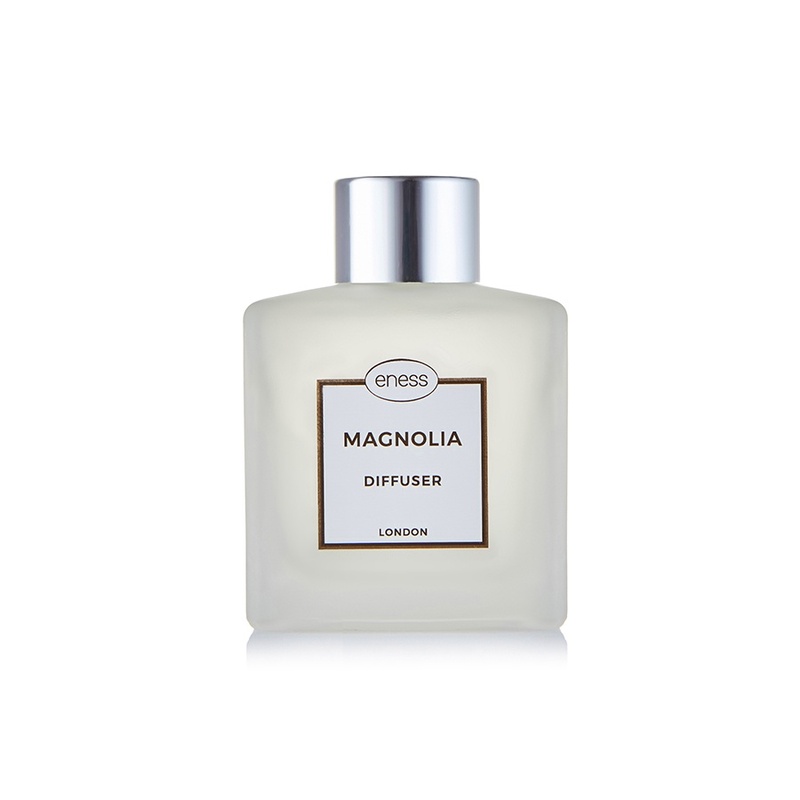 The aroma incorporates creamy fruity and floral notes of peach, magnolia, jasmine and ylang ylang, with a soft musk and sweet vanilla at the base. Fill your room and senses with this gorgeous scent and elevate your mood at the same time. Directions for use: Remove the stopper and insert the reeds. You can flip a few reeds, or all the reeds, daily to fill your room with the delicate fragrance. When handling the reeds, do so over a sink to avoid any spillage. It is advisable to use a coaster under your diffuser to keep any oil drips from damaging your counter top.